Reliance Digital has yet again found a way to up the ante in the telecom industry here in India. News sites are publishing headlines that go along the lines of “Jio offers 70% Buyback on the new Samsung S9 7 S9+ variants.” This is the result of a collaboration between Samsung & Reliance Digital. Overall, the Samsung S9 and S9+ Jio buyback and free data offer looks tempting enough. But still, it’s a good idea to take a look at the details below. On paper, both these deals looks very good. Rather, exceptionally good. So here is what you have to do to enjoy these offers. First, the 70% buyback. To avail the 70% buyback, which is available on the S9+ (256GB version) only, ﬁrstly, the consumer needs to have a working, at least one year old Jio connection. Secondly, the connection should show a cumulative recharge of INR 2500/- of any plan available in that year. 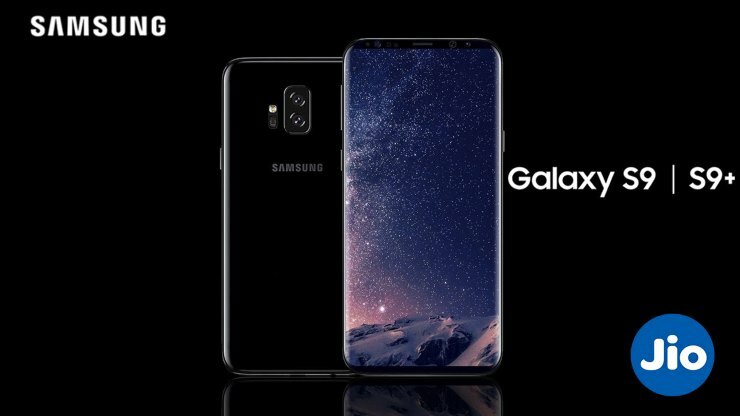 Finally, the actual buyback period of the S9+ will be between 16th of March, 2019 to June 15th, 2019. That is the window of the buyback that Jio has ofﬁcially announced. We suggest you go to a Samsung dealership and have a long hard look at the new S9+ (256GB variant) and decide if that is the phone you want to be stuck with for at least one year. Chances are, your answer will be affirmative. It is unlikely you would want to get rid of a flagship phone like the S9 or the S9+ in a year’s time, right? Clarity is yet to be given on whether Jio will insure the devices bought from Reliance Digital, for the mentioned period. Moving onto the second part of the deal, consumers can also opt for an exclusive offer given to the Samsung S9 & S9+ (all variants) using Jio as their service provider. Reliance offers 1 terabyte of Jio high speed 4G data at INR 4999/- along with the usual free unlimited voice calls , free SMS for a period of one year. This data will be without a daily usage limit, and would automatically shift the users be Jio Prime members. As if that wasn’t enough, Reliance Digital consumers will also be provided an option of a 12 month EMI on the Samsung S9+ (256GB variant) with various ﬁnance partners. We feel, if you combine everything that is on the table for the taking, including the ﬁnance option, Jio is paving the way and we are inching towards a “core contract basis telecommunications” and its ﬁtting that Jio has taken this up with Samsung as a partner, given the popularity Samsung has enjoyed with its S8 & S8+ in the recent months. Micromax Bharat 5 Pro priced Rs 7,999; loaded with features: What’s not to love? Samsung QLED TV revealed: Shock and awe!